If you and your spouse are considering an Australia honeymoon, you’re in for a treat. The land down under is unlike anywhere else you’ve likely traveled. If you and your spouse are considering an Australia honeymoon, you’re in for a treat. 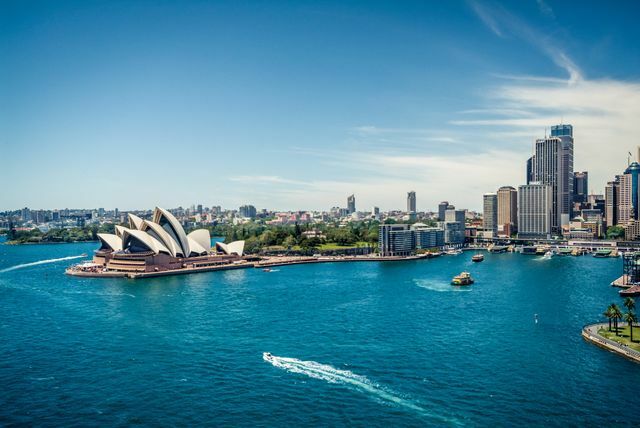 The land down under is unlike anywhere else you’ve likely traveled. It’s the perfect honeymoon destination for many reasons, one of them being the fact that it takes so long to actually get there. Why not take your honeymoon as the opportunity to make the trek? Once you arrive, you’ll be glad you did, as the sovereign country, which is also a continent in its own right, is jam-packed with pristine beaches, breathtaking landscapes, rich culture and a to-die-for food scene. Whether you’re an adventure- and thrill-seeker or a total beach bum, an Australia honeymoon has everything to offer you and more. Ready to pack your bags? Here’s what you should know before traveling on an Australia honeymoon. One of the dreamiest tourist destinations, Australia’s culture and climate are largely different from that in the Americas. Their summer and winter months are completely opposite of North America, making it easy to decide when and where to visit. It is important to remember how vast the continent of Australia is when deciding where you plan to visit. The northern states are typically be warm all year round, while the southern states experience more of a harsh, New England-like winter. 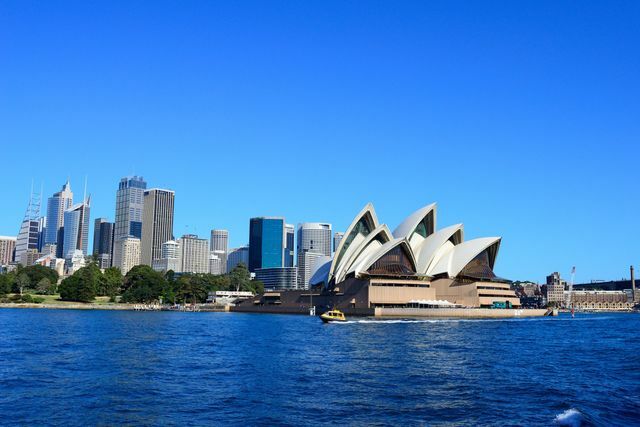 Therefore, the best time to plan your Australia honeymoon is in late February or early November when you can feel the warmth from spring and autumn, but are also able to avoid the more expensive ticket prices that are typical around school vacation weeks. Located off the Queensland coast of Australia, is the honeymoon paradise of your dreams. Whitsundays Island is comprised of a total of 74 islands, eight of which are actually inhabited, providing you with a less populated, but more intimate, escape. Take your special someone ad dive into the clear blue water filled with an array of vibrantly colored fish and beautiful coral reefs. 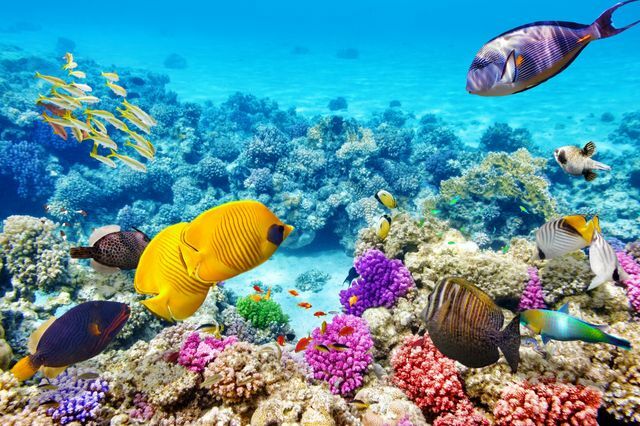 The islands are also located within the Great Barrier Reef—a must visit during your Australia honeymoon. The Whitsundays Islands will be sure to give you an adverse assortment of on- and off-shore activities. Whether you choose to scuba dive through the Great Barrier Reef, cruise along the pristine water or relax at a Whitsundays spa, your Australia honeymoon will be one you will never forget. If you have a passion for wildlife and exploring the outdoors, this unique island will be perfect for your Australia honeymoon. Australia’s third largest island, Kangaroo Island will be sure to provide you with a romantic sanctuary filled with some of the world’s most beautiful wildlife. Also referred to as Australia’s Natural Zoo, Kangaroo Island inhabits not only just Kangaroos but sea lions, dolphins, koalas, white whales, penguins and several other animals as well. Visit the Kelly Hill Conservatory for a rocky adventure or stopover to the Seal Bay Conservation Park for a day on the beach with some friendly and adorable seals. Book your Australian honeymoon on Kangaroo Island to relax on the white sandy beaches and explore all of the rich history and wildlife there is to offer. For more of a city like feel, couples can explore the city of Melbourne for a cultural and romantic exploration of Australia. Known for its exciting and sociable setting, outstanding cuisine assortment, and colorful atmosphere, Melbourne is a year-round tourist destination that will be sure to be the perfect spot for your Australia honeymoon. Considered to be the heart of live music and bar capital of the continent, Melbourne will provide you with both a romantic and exciting atmosphere. Drift away in a hot air balloon over the Yarra Valley or watch the sunset at St. Kilda Beach, your experience in Melbourne will be short of a disappointment. We're looking to honeymoon to Australia in September 2018. Any ideas on places to say? Looking for all inclusive resort options. Anybody ever been to Australia? DH and I are playing with the idea of honeymooning in Australia, because we're that awesome :-|. Anyone ever been? What part? How was it?